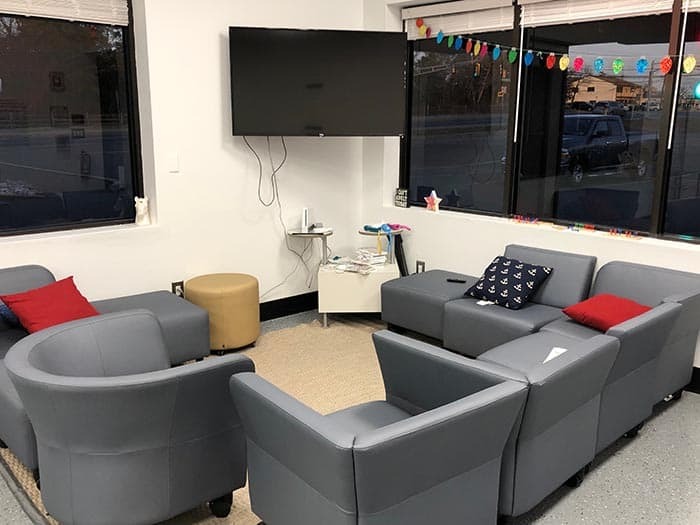 BRICK – Attendance at Lounge 270, the township-run teen center, has been up and down since its opening in the fall of 2017. Located in the Brick Township Civic Plaza at 270 Chambers Bridge Road, the center has been open on Monday nights to middle school students and on Thursday nights to high-schoolers. “Our first conceived thought was it would be a place for kids to gather informally,” said Councilwoman and recreation liaison Andrea Zapcic. 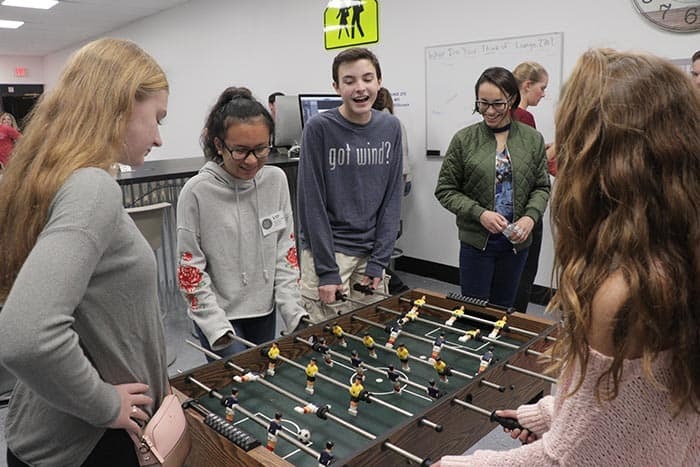 “We worked with a group of high school students who were active and involved in the planning of the teen center, and their vision was that it would be a drop-in center open seven nights a week until 10 p.m., but we said hold on, let’s try it a few nights a week first,” she said. Director of Recreation Dan Santaniello said his department recently sent out a survey to students at both high schools to ask what they’d like to see at the teen center, and a majority said they’d like to have it open on Friday, Saturday and Sunday since many of them have sports, jobs and homework on school days. The survey asked the students to vote for which events they’d like to see at Lounge 270, and were asked to rate food tastings, contests, video/board game competitions, open mic/music nights, trivia nights, classes, and other choices. The center has televisions, video game systems, three Apple computers, foosball, games, furniture and more. Retired Brick Police Officer John J. Talty, 54, staffs the teen center to make sure that the kids are safe and that there is no inappropriate behavior. “Sometimes kids will bring in their home computer and synthesize music, or they’ll dance to Wii, or play video games,” he said on a recent Thursday night. “I take a step back and sometimes we’ll order pizza and we’ll interact, because kids always interact when there’s food,” he said. Talty, a lifelong Brick resident who was a police officer here for more than 30 years, is partly paid with a BMAC grant that also funds drug education programs. He is also paid through a Recreation Department trust account funded by program fees, Zapcic said. The previous week, around two dozen middle and high school students were at the center labeling 3,500 drug education bags that would be distributed to all township students in grades kindergarten through grade 5. They are the same bags that are distributed to township pharmacies to provide information to their customers about disposing their unused or expired medications at a drop box located at the township police station. The bags were also distributed to the emergency room and pharmacy at Brick Hospital, and the program has been expanded to include realtors who host open houses. Zapcic said that a $39,523 BMAC grant pays for these and a variety of programs. Lounge 270 had the largest crowds during a French fry contest, when local restaurants provided French fries and the kids voted for their favorite. In June, the parking lot was turned into a festival with local bands playing, and included a rock-climbing wall and a dunk tank. In the near future, the teen center would be open for weekend events, which should increase attendance, Santaniello said.